The Lakeside Lutheran High School English Department held its biennial elementary school spelling bee on Saturday, Nov. 10. A total of 645 students in grades 5-8 from 16 area Lutheran elementary schools begin competition with a written exam in their own schools in weeks prior. A total of 52 students in grades 5- and 44 in grades 7-8 moved on to the next level of written examination Saturday at Lakeside Lutheran that involved 50 dictated words. The top finishers then competed in an oral round, including 26 spellers from grades 5-6 and 22 spellers from grades 7-8. The winning word at the fifth/sixth grade level was “splurge”; the upper grades competition was won with a correct spelling of “leisurely.” Winners at each level were awarded Lakeside tuition credit and trophies. The event was organized by Lakeside Lutheran English Department chairman Daniel Kuehl. 2018 LLHS spelling bee winners in grades 7-8 winners are, from left, Joshua Hecht, Eastside, Madison, 2nd place; Hallie Egelseer, St. Paul, Lake Mills, 1st place; Maria Vik, St. Paul, Fort Atkinson, 3rd place. 2018 LLHS spelling bee winners in grades 5-6 are, from left, Elijah Dolan, Trinity-St. Luke, Watertown, 1st place; Alexis Yerges, St. Stephen, Beaver Dam, 2nd place; David Johnson, St. Matthew, Janesville, 3rd place. 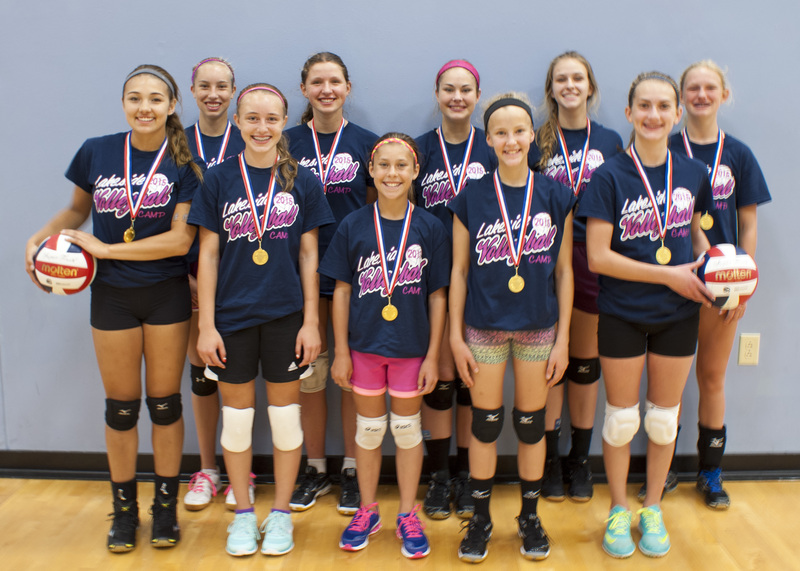 The Lakeside Lutheran High School volleyball teams will host a fundraiser called “Volley for Hope” before and during their home matches on Thursday, October 13. The activities that night benefit Tomorrow’s Hope, a non-profit that supports local health care recipients who help those touched by Alzheimer’s, cancer, diabetes, heart disease, and other life-limiting illnesses. Sub-varsity volleyball matches v. Columbus High School begin at 5:15 p.m., and the varsity match follows. Organizers are planning a bake sale, T-shirt sales, raffles, Pick-a-Duck, and a silent auction featuring several Packer collectibles, among other items. Proceeds from the concession stand will also in part benefit the cause. Grade school volleyball teams have been invited to join the evening’s events, and the public is warmly encouraged to attend as well. Packer items, including a signed Eddie Lacy jersey and several signed plaques such this Paul Hornung collectible, are some of the items up for silent auction the night of Volley for Hope, a fundraising event benefiting Tomorrow’s Hope, planned for the evening of Lakeside Lutheran home volleyball matches on October 13. In addition to direct support for life-limiting illnesses, Tomorrow’s Hope, headquartered in Jefferson, also fosters health-related research, education and support activities. In 19 years, over $3.9 million has been granted within the Jefferson, Dodge and Dane county health care communities. According to Tomorrow’s Hope, every $1 raised creates $1.62 in economic benefit. Donations to support the Lakeside Lutheran effort may be directed to the school office (231 Woodland Beach Rd. Lake Mills 53551) or directly to Tomorrow’s Hope (147 W. Rockwell St. Jefferson, WI 53549). Make check payable to Tomorrow’s Hope. Please reference the team name on the memo/for line of the check or in a note with the check. 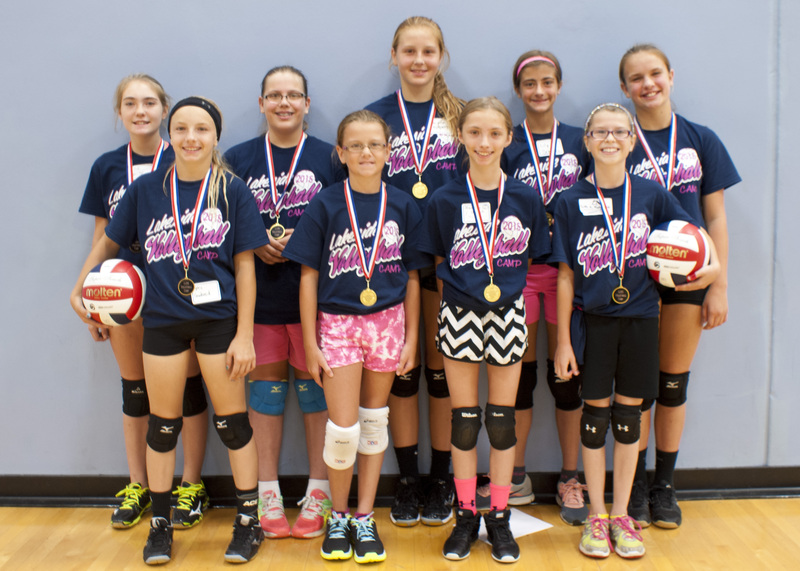 Your Lakeside Lutheran recently held its annual Warrior volleyball camp week for girls entering grades 4-9. The camps aimed to improve each camper’s skills through drills, instruction, contests and games. Each session varied in its level of instruction and drills. Players in all sessions were taught the individual fundamentals and team concepts needed to become better players. On the last day of the week-long camps, several 6th -9th grade players were recognized by the coaches for their outstanding skills and positive attitudes. The following girls in grades six and seven were recognized: (back row, L-R) Callie Krause, St Paul Lutheran School, Fort Atkinson (Miss Server); Naomi Hundt, Good Shepherd Lutheran Church, Beaver Dam (Most Improved); Payton Kuepers, Our Redeemer Lutheran School, Madison (MVP); Lily Schuetz, St Paul Lutheran School, Lake Mills (Warrior Award); Kaylee Raymond, Peace Lutheran School, Sun Prairie (Miss Hitter). Front row, L-R: Kylee Gnabasik, St John Lutheran School, Jefferson (Miss Passer); Holly Fluegge, Eastside Lutheran School, Madison (Most Encouraging); Hannah Uttech, St Mark Lutheran School, Watertown (Miss Hustle); Faith Retzlaff, Zion Lutheran School, Columbus (Most Encouraging). Missing: Hope Heagney, St. Paul, Fort, (Miss Setter). The following girls in grades eight and nine received awards: (back row, L-R) Kaitlyn Shadoski, St Matthew Lutheran School, Janesville (Miss Setter); Abby Buxa, St. Matthew Lutheran School, Oconomowoc (Miss Blocker); Katie Guld, St. Paul Lutheran School, Lake Mills (Miss Hitter); Grace Loescher, Trinity-St. Luke Lutheran School, Watertown (Warrior Award); Lauren Thiele, Holy Cross Lutheran School, Madison (Miss Server) . Front row, L-R: Ryan Ferch, St. Paul Lutheran School, Lake Mills (MVP); Olivia Andress, St. Matthew, Oconomowoc (Best Attitude); Hannah Foley, Immanuel Lutheran Church, New London (Miss Hustle); Elise Meier, St. Mark Lutheran School, Watertown (Miss Passer); Kristin Karas, St. John Lutheran Church, Milton (Most Improved).